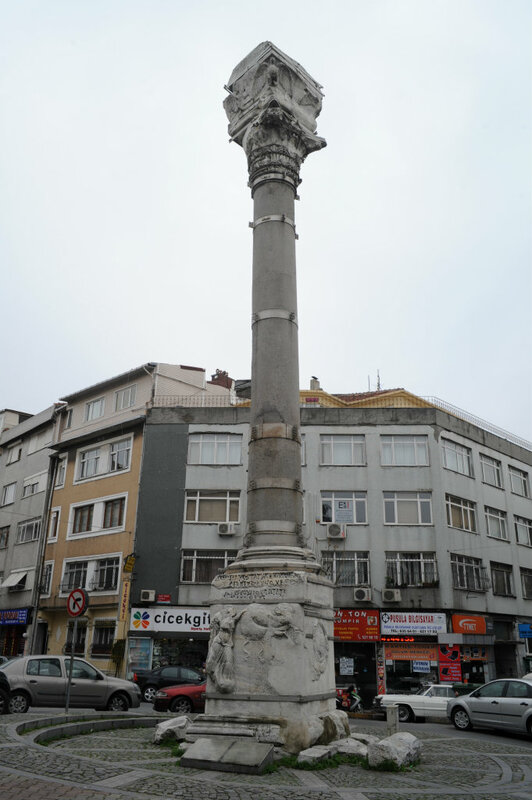 The Column of Marcian, or the “Column of the Maiden” (Kıztaşı) as it is known in Turkish, was set up in memory of the Byzantine Emperor Marcian in 455 C.E. 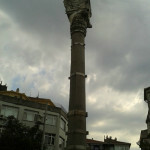 The Column of Marcian, or the “Column of the Maiden” (Turkish: Kıztaşı) as it is known in Turkish, was erected in memory of the Byzantine Emperor Marcian in 455 C.E. 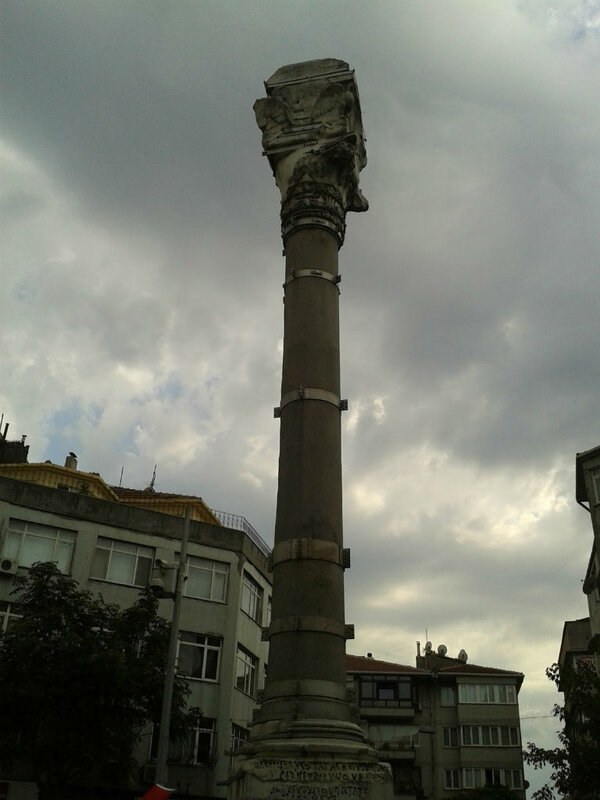 For many years it was kept in the garden of a private house and remained hidden from the public view until it was discovered in 1908 in the course reconstruction after a fire. 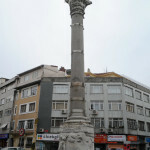 The column is made of two pieces of Egyptian granite and rises 17 meters from the marble pedestal at its base to its Corinthian Capital. 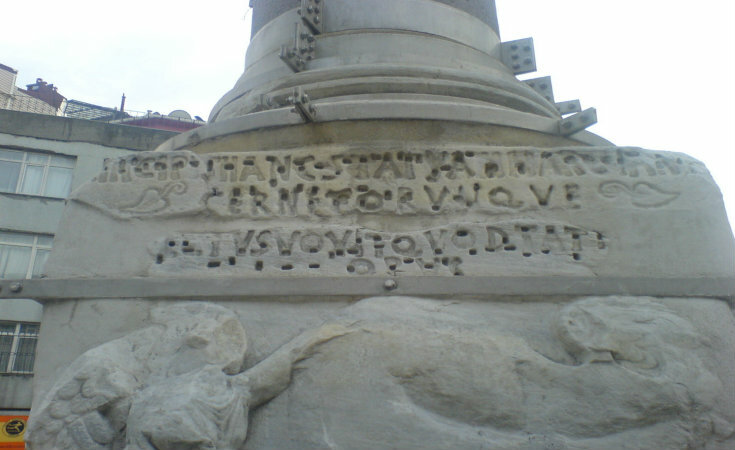 Traces of carvings around the base are still visible today.